Brett Favre is one of many former NFL players possibly suffering from CTE -a disease spawned from taking too many hits to the head. As a Quarterback Brett Favre was nothing less than elite. He broke passing records, played in multiple play-off games, won a Super Bowl, and even defied the laws of aging for the last few years of his career as a Minnesota Viking. That life on the football field may be catching up with him though. According to the former Jet, he doesn’t remember a whole summer of his daughter playing soccer. "For the first time in 44 years, that put a little fear in me," Favre told Sports Talk 570 in Washington. "God only knows the toll." The memory loss may be a result of Chronic Traumatic Encephalopathy. CTE is a disease found in the brains of athletes who have suffered repeated hits to their head. No matter how illustrious the career, the gladiators of the grid-iron are only human. Sadly the only way to check for CTE in the brain is after one passes away. It’s diagnosed after collecting brain tissue and finding microscopic clumps of an abnormal protein called Tau. Tau has been found in the brains of Junior Seau, Dave Duerson, Terry Long, Shane Dronett, and Mike Webster. All were NFL greats who committed suicide. "It could be that some people have more initial changes to (brain) areas that are more responsible for mood and aggression and impulse control," Stern told CNN. Recently the NFL has come under fire for this issue. The league and thousands of former players suffering from possible CTE related ailments reached a settlement of $765 million to fund their medical examinations. While the settlement does help former players and their families, there are some concerns. The main issue is whether the money is enough to fund everyone. The other issue, according to ESPN, is the statute of limitations in the settlement. The families of those who died due to football related injuries can only receive money if the player died within the last two years. Many former players who died before 2009 and 2010 are cut from the settlement. 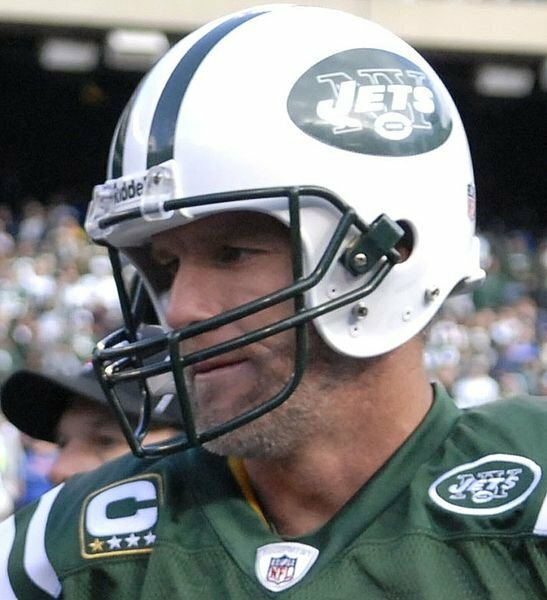 Subject: LongIsland.com - Your Name sent you Article details of "Former Jet and Future Hall of Famer Brett Favre Suffering From Memory Lapse: Possibly Due to Concussions"